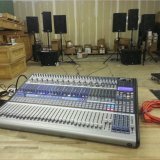 In addition to the PreSonus Knowledge Base, YouTube channel, Web site, manuals, and user forums, there are excellent third-party resources available. Please check out the links below for more information. Groove3’s tutorial videos are available at groove3.com. These in-depth videos will get you up and running quickly with Studio One. Groove3 also hosts videos about a multitude of other audio programs and techniques that you may find useful. If you’re interested in Studio One and in digital recording techniques in general, Groove3 is a superb choice. The videos are inexpensive and can be streamed from anywhere. Physical copies can be purchased as well. Studio One training videos have just hit MacProVideo.com and are available here. With over two hours of extensive video training for Studio One 2, this is an excellent resource for musicians of all skill levels. Focused on songwriting, the 22 sections of the course cover every aspect of the software, from basic setup to mixing and mastering your final project. An excellent resource for Studio One beginners can also be found on the learning resource Lynda.com. Check out this video at this link. Hal Leonard has two separate books on Studio One. One is Power Tools for Studio One 2 by Larry the O. Volume 1, availablehere, is out now; Volume 2 is in production. Another resource from Hal Leonard is Studio One for Engineers and Producers, written by William Edstrom, Jr. This book can be purchased at this link. Alfred Publishing has one entry-level book, Alfred's Teach Yourself Studio One, Version 2.0 by David Terry. Check it outhere.